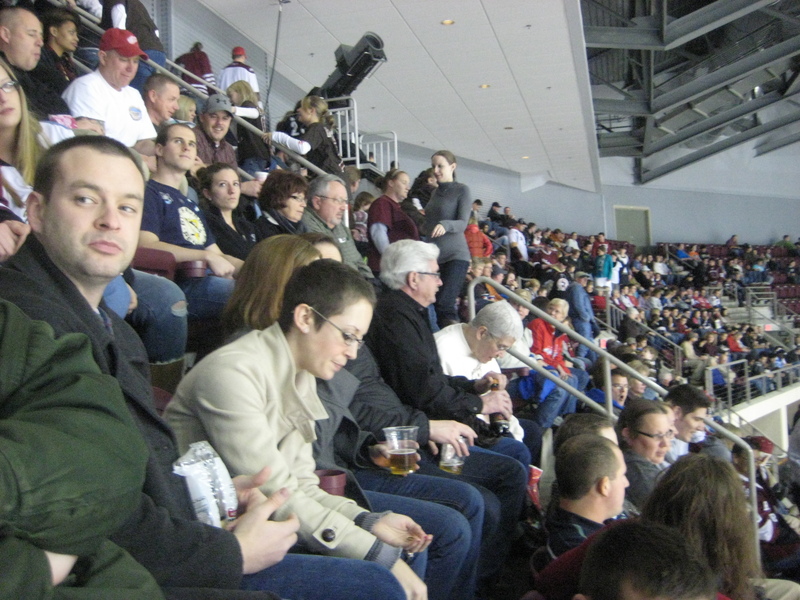 On Saturday, December 10, 2011, Ubar Grotto attended the Hershey Bears vs. Scranton Penguins hockey game at the Giant Center, in Hershey, PA. While Ubarians rarely need any incentive to watch grown men duke it out on a sheet of ice, there was another reason for their attendance that night. 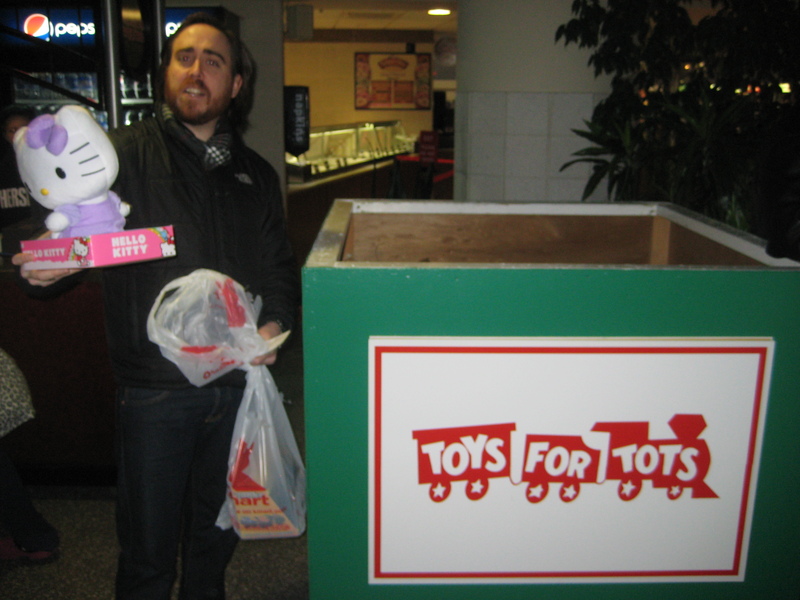 It also happened to be Toys for Tots night, which provided Ubar a great opportunity to help the community and show some sympathy and good fellowship this holiday season. More than twenty members, friends, and family of Ubar Grotto came out to support the Hershey Bears and Toys for Tots. 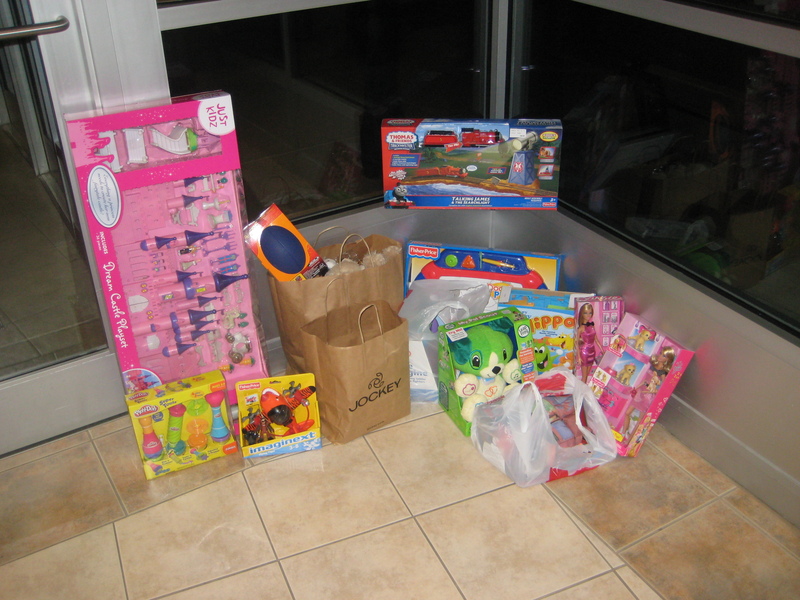 It’s estimated that more than $250 in toys were donated by the Ubar group – including several donations from members who couldn’t attend but wanted to help some kids have a nice holiday. Those present made sure to bring the usual fun and frivolity that heralds any Ubar event, with lots of laughs and friendly banter. The line of the night came from Pro. Tim Settlemyer, Master of Ceremonies, who was offered a peanut and responded with “I don’t need peanuts to be belligerent!” We’re just as clueless as you are. The officers would like to thank everyone who attended and those who donated toys to the cause. This is just another example of Master Masons making a difference in their community. The Grotto may be the Master Mason’s playground, but we can certainly make a serious impact on those in need when called to!